PHP is a server-side scripting language but nowadays widely used an opensource scripting language. An open-source scripting language is provided scalable front-end & back-end development. 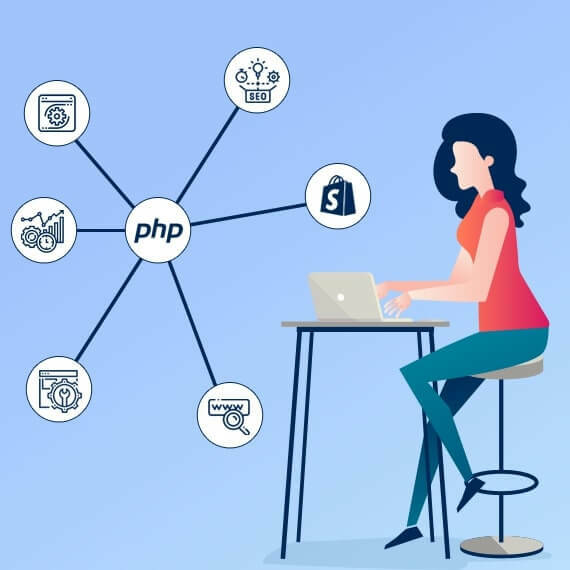 Choose PHP web development service from Softpulse Infotech and get Dynamic web pages with the advanced use of PHP framework. Our PHP Web developers were able to provide a dynamic, custom and highly scalable website. 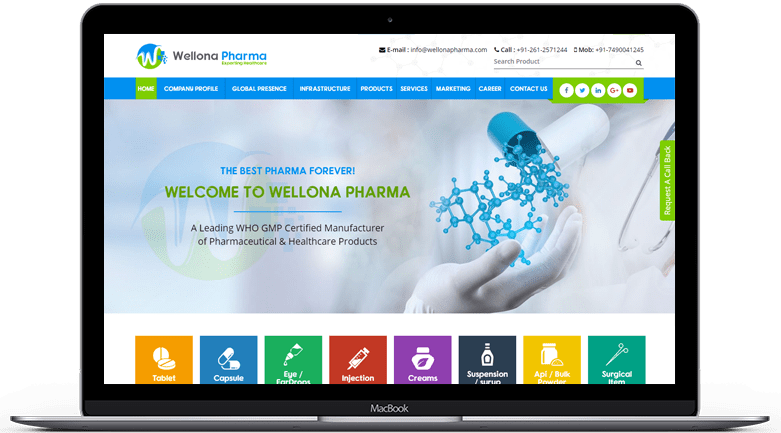 Our professional development team is ready to provide flexible and progressive PHP web development services and solutions. PHP is a simple and effective language. Use of PHP language has been increased exponentially in the past few years because it delivered fully furnished website. Our team is professional and experienced to design custom PHP website, and that definitely satisfies the business goals of our clients. Our PHP website development company works all latest and best PHP frameworks. We provide a modern PHP framework which is well-organized, reusable and maintainable code. Softpulse Infotech team is Highly Skilled CodeIgniter Developers Enables Us to Deliver Creative or original and Result in Oriented Web Development Services to Serve Your Businesses. CodeIgniter is one of the most trusted open PHP frameworks enjoying unsurpassed popularity among developers. 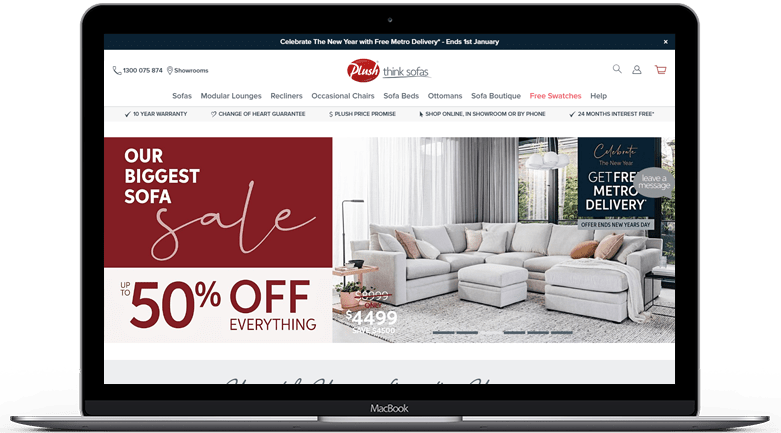 As we know BigCommerce is an open source eCommerce development platform which provides the numerous benefits of using this intuitive PHP platform for your requirements. Softpulse Infotech provides eCommerce solution for small business to large enterprises. Softpulse Infotech offers high-class Magento Development Service, We have specialized in almost all aspects of the Magento platform, from support and maintenance, Customization and development. Magento is a popular eCommerce platform to make the best online store/eCommerce Development. Softpulse Infotech is a leading WordPress development service company. 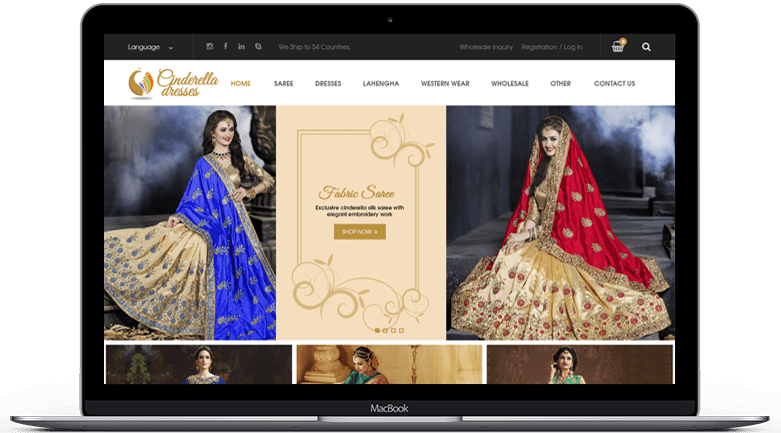 We are highly equipped experienced developers that drive our WordPress web development services through a well- thought process to design your website. Have you not yet decided on the technology you want your application to be designed in? 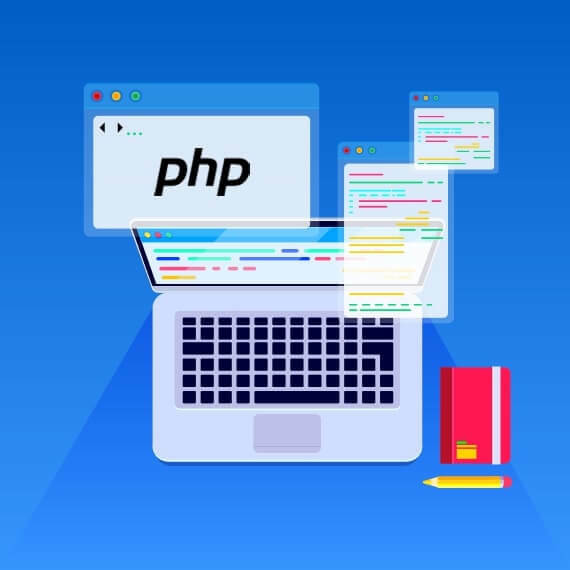 If your application needs a database at the backend to support it, we suggest PHP would be the best language you should get your application developed in. Besides great support from Zend, the makers of PHP, the language offers great functionalities and is supported by most of the browsers. The World's Leading Yoga Travel Site. 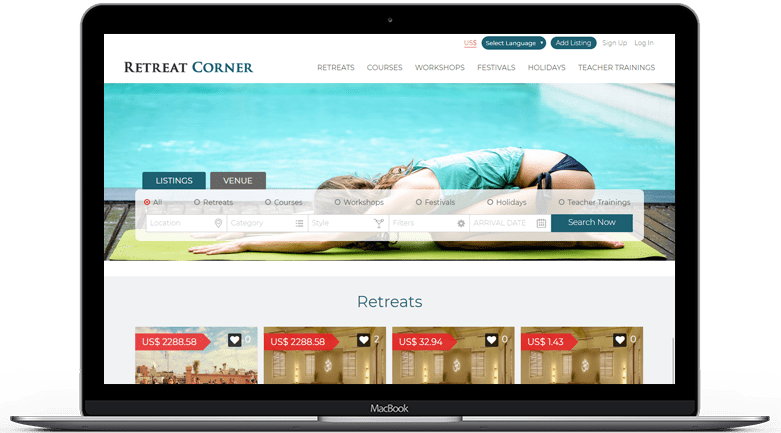 Read reviews, browse and compare prices, view pictures and book your yoga vacations at Retreatcorner.com! Telliberry is an independent distributor of products and services in telecom, and we primarily target the retail market through our stores. They sell mobile phones, subscriptions, PCs, and tablets. With us you will always have access to the industry's best service. To put it in simple terms, some viewers actually want the possibility to give in different more pleasant and direct ways. 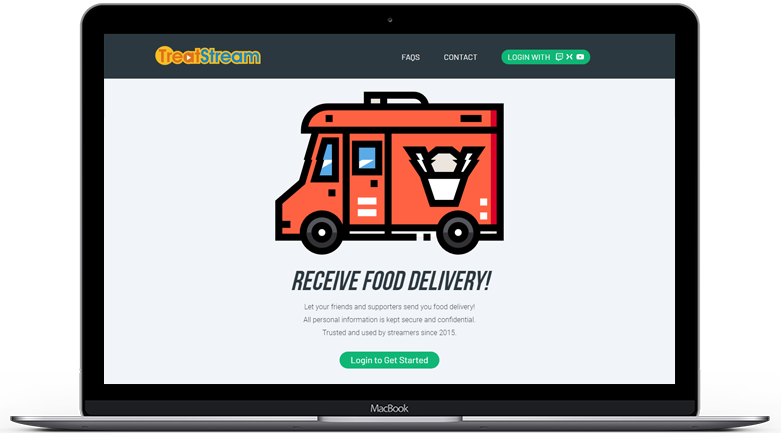 Streamers would also love to offer these ways, if only personal information and orders could be kept secure and confidential. Ladies and gentlemen, that is why we're here! Buying new furniture is a major purchase, and unfortunately accidents can happen. So it makes sense to protect it. Our Plush Shield protection covers you for five years against a wide range of accidental damage. Softpulse Infotech specializes in creating websites powered by thisimpeccable technological attribute (i.e. PHP). Get in touch with our competent team of developers with your web needs. We can create highly customizable websites backed by PHP. You do not have to search for different vendors for multiple branding or designing services! You get all under a single umbrella. The Ukulele trading Co Australia are thrilled with our redesign by Jaron. His communication is first class, and even though he was so far away physically from us downunder in South Australia we found the process was easy.We are totally "Non technical" yet Jaron and was able to turn our design visions into coded reality.